Seaweed is associated with the Chinese New Year but it is an ingredient that I use at Hogmanay. It is readily accessible to coastal foragers or in dried form online and from food stores. Older Scots often have few Christmas childhood memories but mention the word Hogmanay, and New Year reminiscences will cascade like a waterfall. On December 31st Scots traditionally cleared their debts and removed ashes from fire grates. The underlying idea was to sweep out old anxieties before welcoming in the New Year. First footing (the first foot across the doorstep) is still common in Scotland. Houses are brightly lit to signal that first footers are welcome. Historically the first footer was a dark male who brought symbolic gifts of coal, salt, a dram and food.This recipe works particularly well with dried laver which can be gathered from rocks at low tide. It retains sand so wash laver well and then dry it in a warm, dry place or in a food dehydrator. Each seaweed has its own unique flavour. 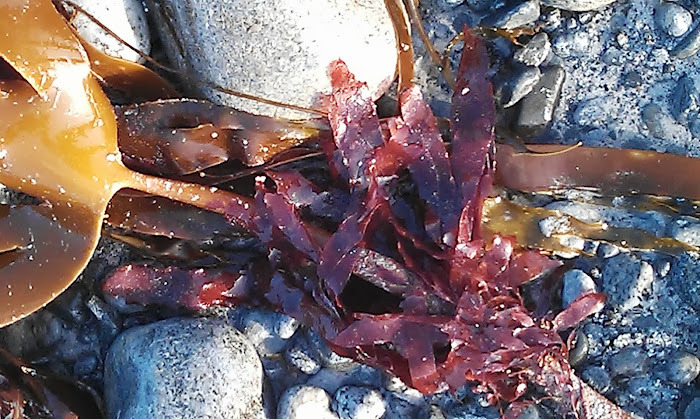 The green species are quite pungent, laver and dulse are more subtle. In a mixing bowl cream the butter and sugar together. Add the flour and laver and bind the mixture together with the egg yolk. Divide the dough in half. Roll into 2 x 15cm x 3cm rolls and wrap each roll in cling film. Refrigerate for a minimum of 20 minutes (until firm to slice). Cut 1cm slices and lay them on a non-stick baking sheet. Bake for about 12 minutes in a pre heated oven or until the biscuits are golden. Keep a watchful eye because they colour quickly. Remove the biscuits from the oven and leave them to harden for 2-3 minutes before putting them on a cooling rack. 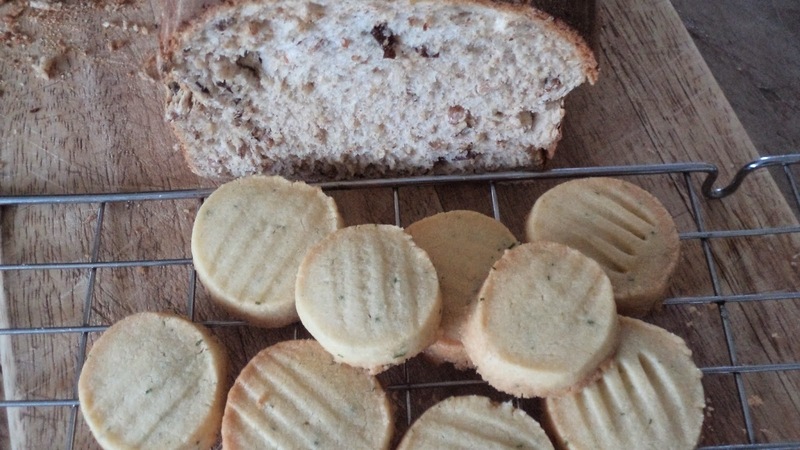 Seaweed aficionados could make these biscuits in the shape of seaweed fronds using a template.